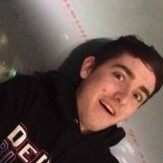 Zol87 had the most liked content! Running, Biking, Photography, Reading, Going Places, Listening To Music, Computers, Studying Chicago. I saw #8305 on heading west on Old Orchard this morning around 9:30am. It was not in service and probably coming off route 206. Unfortunately, I couldn't get my phone out in time for a picture since I was heading to catch the 201 bus. New Express Routes Coming Soon. I guess you're right. It does have the parking space and is between the train lines. I'll try to catch a photo of it again sometime now that I know it on the UP lines. I will make sure to carry my DSLR from now on. Agreed, This would be great one the Red Line Extension is complete. IMHO, I would go for Blue Island to Hegewisch via 127th/130th Streets. The only issue is that 130th Street is a high traffic truck route with almost no sidewalks between the Bishop Ford and Torrence. The only place that could have a stop would be Stony Island which has a traffic light. Also, the configuration of the new 130th/Torrence/Brainard intersection would be difficult for a bus stop. Perhaps a stop just west of Torrence by the Ford plant would be best. Agreed for the new 856. Toyota Park is too close to the Orange Line Terminal at Midway. I did get a picture of Highliner METX 1651 during a trip to Michigan City about 2 months ago. I was surprised to see it in the Carroll Avenue Yard and didn't know why it was there at the time. I got a shot of METX 175 about 2 weeks ago at Wilmette on the UPN when waiting for the bus at the Metra station. Too bad I didn't have my real camera. Although, not bad for a smartphone. 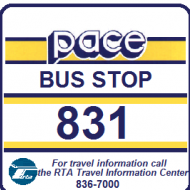 The list of Pace Bus Routes operating as Posted/Partial Stops Only is growing. What routes do you think should be converted to PSO? What should be the guidelines, for determining how routes get added to the list. http://www.pacebus.com/sub/schedules/posted_stops_policy.asp Potential Guidelines *Route Length *Travel Time *Frequent Delays *Traffic Congestion *Routes on Arterial Corridors Here is my list for Posted Stops Only additions. *208 Golf Road due to length of route and travel time. *272 North Milwaukee due to length of route. *307 Harlem due to length of route. *330 Mannheim-La Grange due to length of route. *422 Linden-Glenview-Northbrook Court due to length of route. *423 Linden-The Glen-Harlem-CTA due to length of route. Is there an update on which runs have the old highliners? I would love to get some more pictures. ​True, but Evanston and Skokie are more urban suburbs since they border the city unlike Wilmette. I agree that the CTA buses wouldn't really have a reason to go past Old Orchard anyway. I use the 201 all the time to get to and from work around Northwestern since I live near Old Orchard. The 97 and 215 are also very useful especially since there is no weekend or evening service on the 422. Also, our taxes fund the whole RTA (CTA, Pace and Metra) regardless of where we live in Chicagoland. There are also many people from the city who use the 97 or 201 to go places in Skokie or Evanston and vice versa to Chicago. Also, there are CTA buses that operate in the nearby western suburbs. The 21 Cermak bus goes though Cicero and Berwyn all the way to North Riverside Mall, so how is that different from the 97 going to Old Orchard? The CTA also runs through Oak Park with the 90 and 86. IMHO, CTA buses should go into the suburbs to serve a major destination as long at it is not too far past where the L ends. Additionally once you get close to any major bus terminal whether it is Howard or Jeff Park or 95th, you are going to have some overlap in order to provide services that branch out in different directions. I'll check that out sometime. I'm not sure that will happen because the 2200's were the last of the folding doors which marked the end of an era. The 2400's have sliding doors like the rest of the CTA rail fleet.